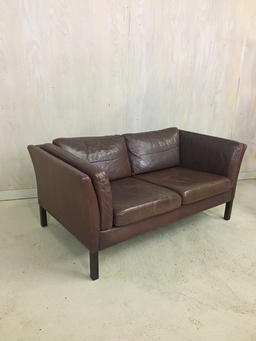 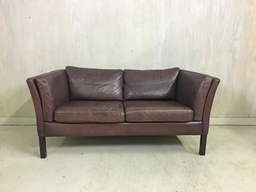 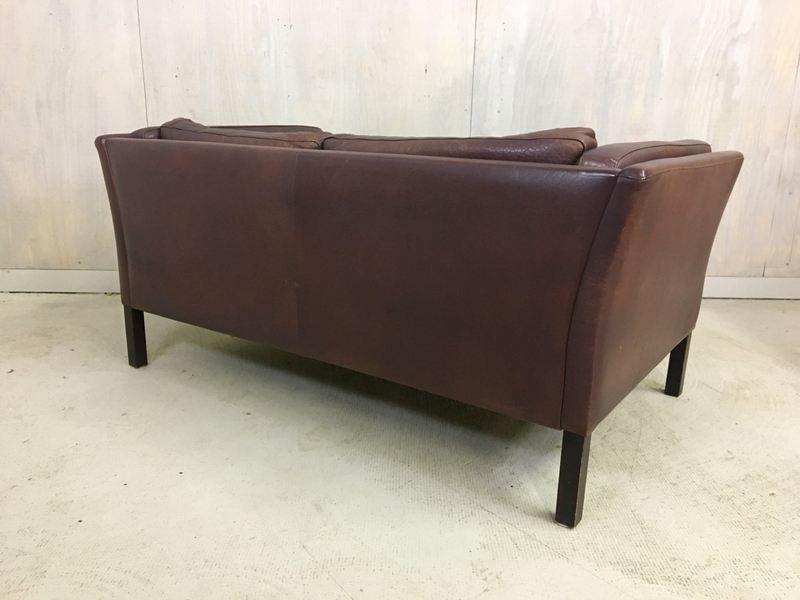 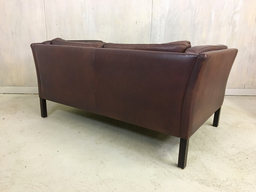 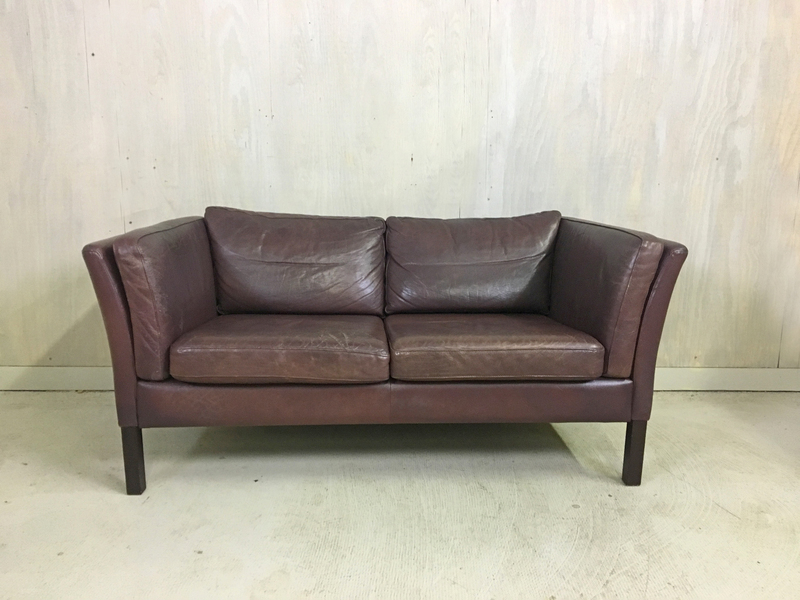 This attractive Scandinavian brown leather loveseat features four cushions plus two additional on the sides for added comfort. In very good vintage condition with no tears but a nice patina of age. 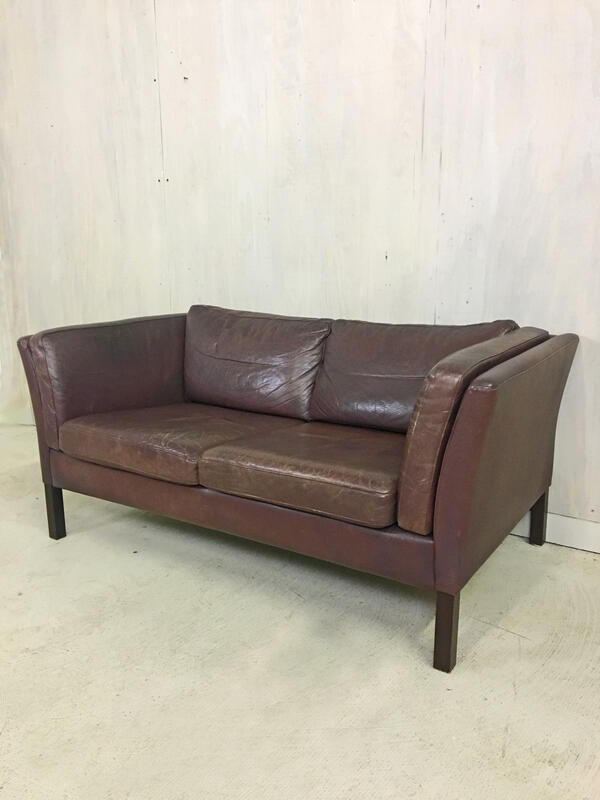 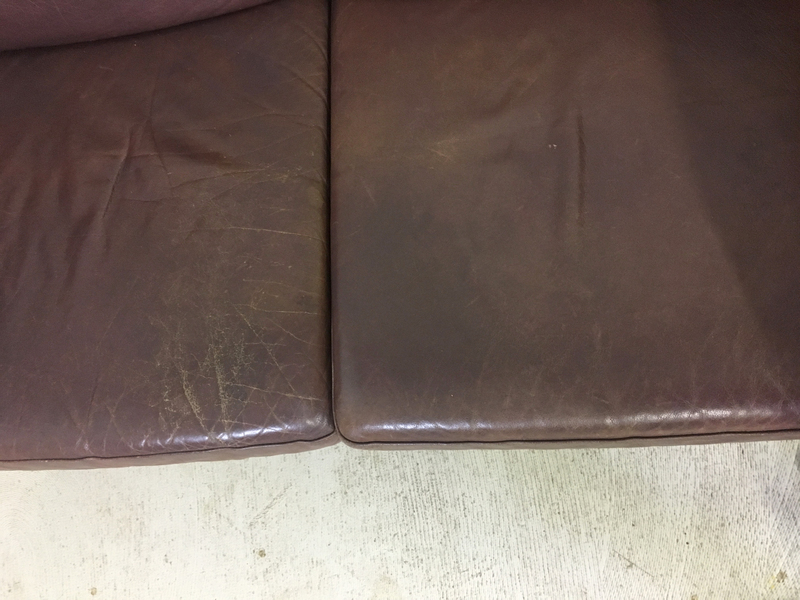 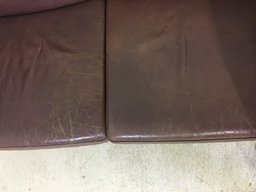 Warm brown in color and in excellent structural condition. 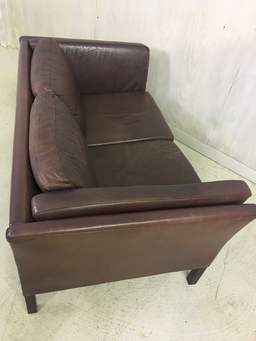 Very comfortable and a nice apartment-sized piece.